Naples is a city whose roots run deep. In fact, its complex history is so profound that only a visit beneath the present-day city surface will uncover the complete picture. 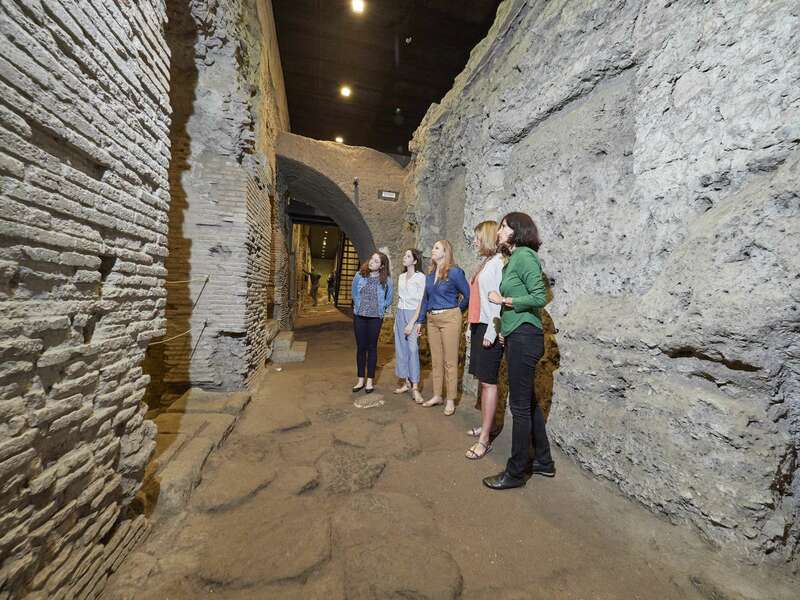 During this two-hour Naples Underground Tour we will explore a series of spaces unassumingly scattered throughout the historical center and learn from an archaeologist how to peel back the layers of urban history to uncover the enigmatic past of this city. We begin with a stroll through the lively streets of the city center that still follow the decumani, or ancient Roman roads, originally laid out 2000 years ago. 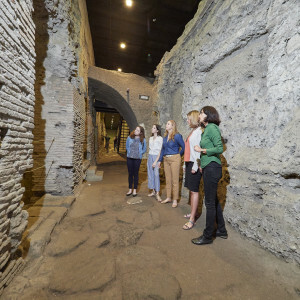 Although long sunken beneath Naples' modern, chaotic streetscape, in the company of our docent, a trained archaeologist, we will acquire the skill of teasing out clues of the city's ancient past from its contemporary layout. 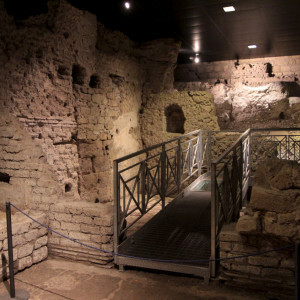 We'll also use this time to paint a picture of ancient Naples and its role in the Roman empire. 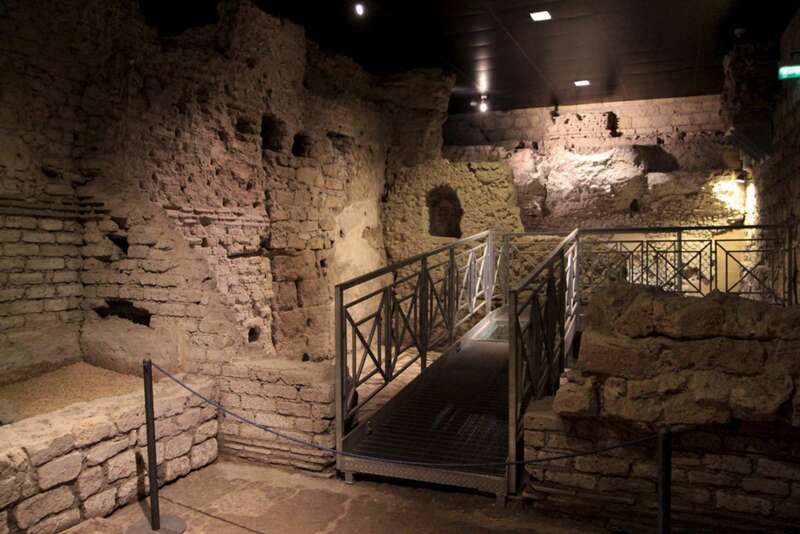 Located just off the via Tribunali, the decumanus maximus are the excavations underneath the Gothic church of San Lorenzo Maggiore where Naples' ancient forum once lay. 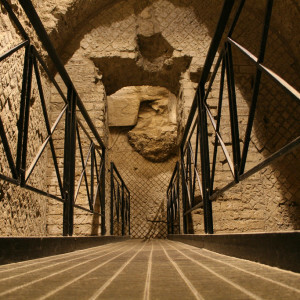 This is one of the key places to view the leftover traces of the ancient city. 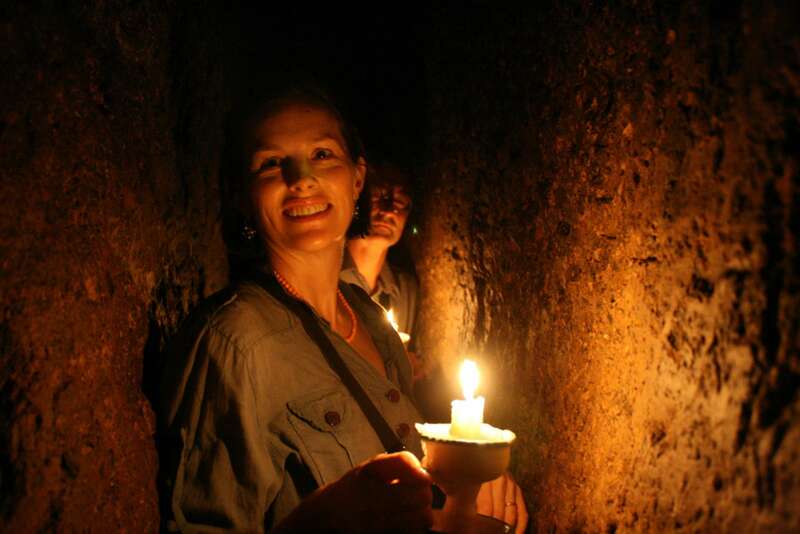 We'll descend underground and explore this archaeological complex, which has both Greek and Roman roots. We'll discuss the role of the Greek Agora, then subsequently the Roman Forum, in civic and commercial life during antiquity. 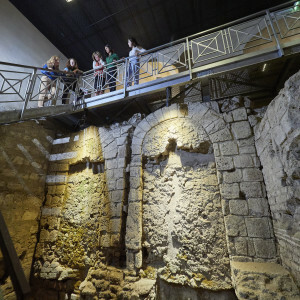 There is much to explore here, including ancient city streets that date from the 1st and 3rd centuries BCE and a wide range of ruined buildings, including the aerarium, where the city's riches were held, an ancient bakery and laundry, and the suggestive cryptoporticus, or covered passageway. Our docent will use these archaeological bits and pieces to weave together a portrait of ancient life in Naples. What would it have been like as a shop owner or slave in this society? What would my daily routine been, and how was the larger social structure set up? By the end of this walk, we will have a much clearer understanding of the evolution of Naples as a city, as well as a deep appreciation for its current attempts to salvage its priceless links to an illustrious past. 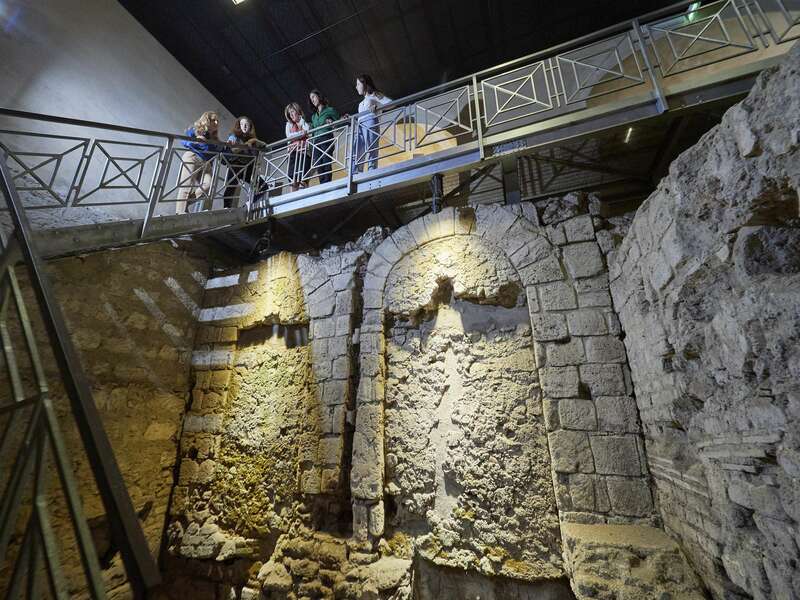 For those with a deep interest in antiquities, we also suggest our Naples Archaeological Museum Tour and our Mount Vesuvius Tour. 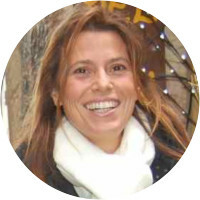 Riccardo holds a Ph.D. in Art History from the University of Naples Federico II and a degree in Art History from the University Suor Orsola Benincasa. 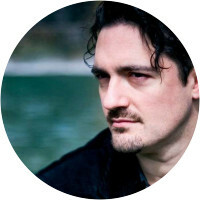 He is a native of Naples and also a classically trained musician, with a degree in classical guitar from the Conservatoire of Naples San Pietro a Majella. Besides his work as a licensed tour guide of all the archaeological sites (Pompei, Herculaneum, Oplontis, the Phlegrean Fields), churches, and museums of the Campania Region, he has held many conferences about medieval illuminations, and about relations between visual arts and music in Roman Antiquity and the Middle Ages. 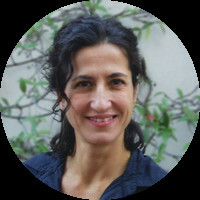 From 2006 to 2009 he worked as assistant professor at the "Suor Orsola Benincasa" University, in Naples. Riccardo also teaches art history at a secondary school. Fabrizio was a great guide. 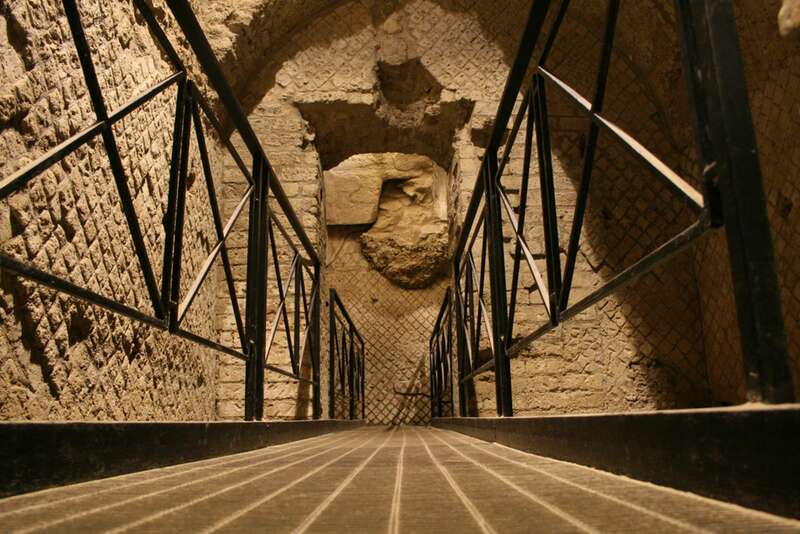 Having studied architecture it gave him a somewhat different perspective on the history and archeology of Naples. We learned a lot from him. He was also very friendly. Overall he was one of the best docents we encountered with Context Travel (and all of them were great - quite a high bar). The only “problem” is that the tour ended too soon. Francesca spent just the right amount of time tailoring her approach to exactly fit our need/requirements. She was outstanding! She was so excited to share her hometown and all of its hidden treasures with us. Her tour could easily have lasted 4 hours and we would have loved it. 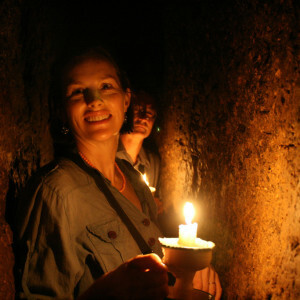 Her attention to details and the enthusiastic way she taught us made us want to return to the area. Roberta is really a gem.